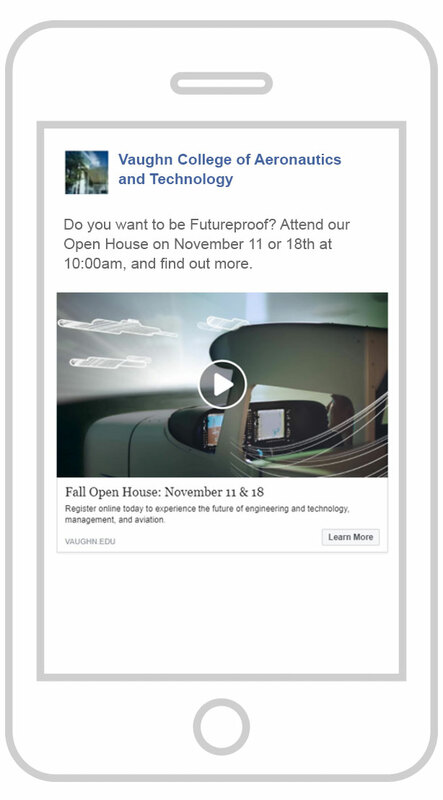 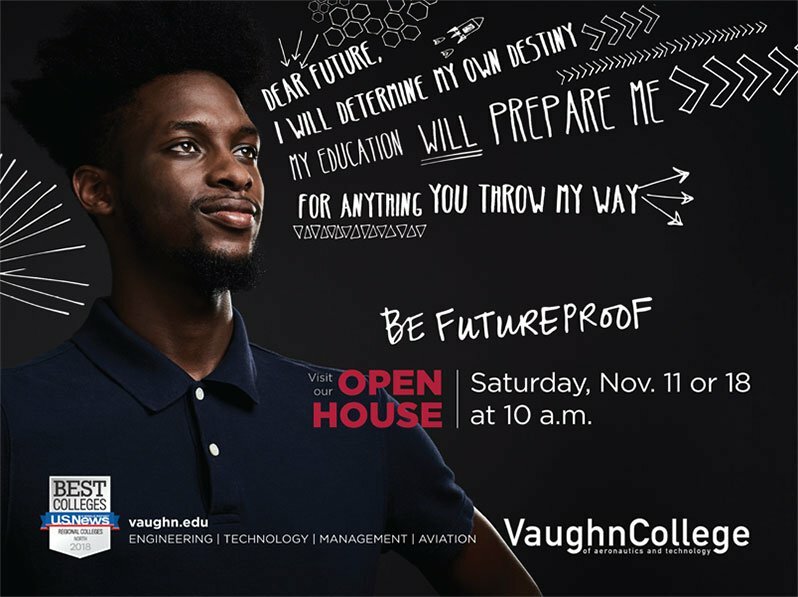 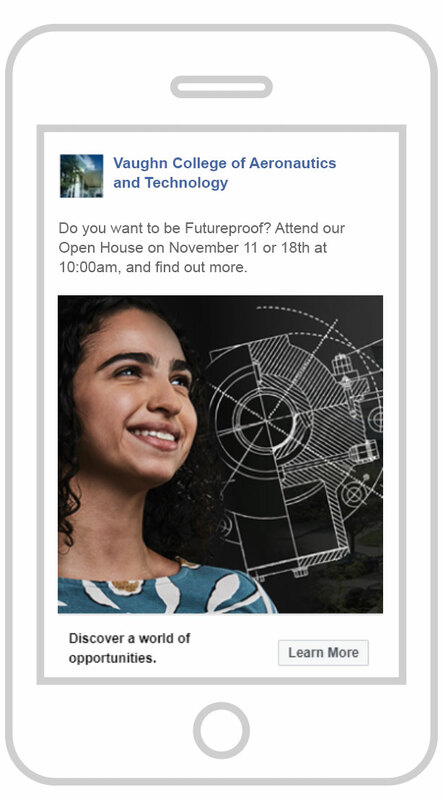 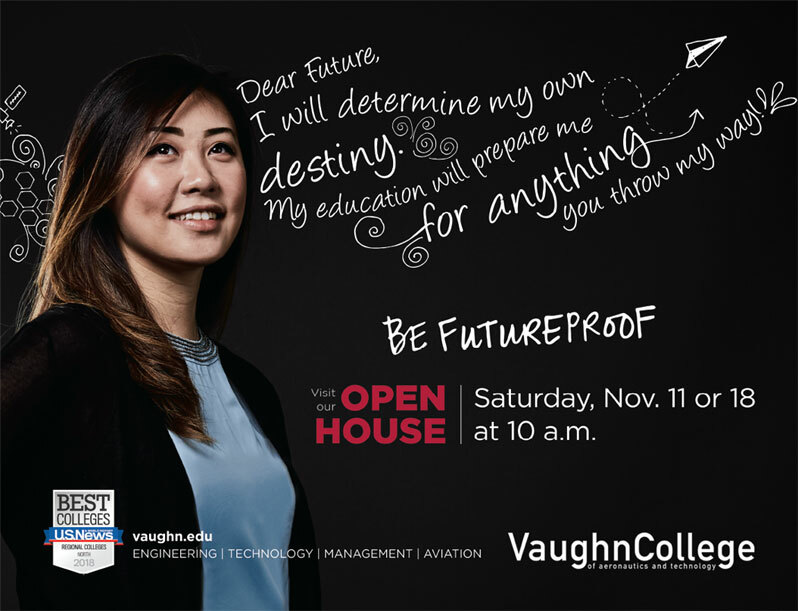 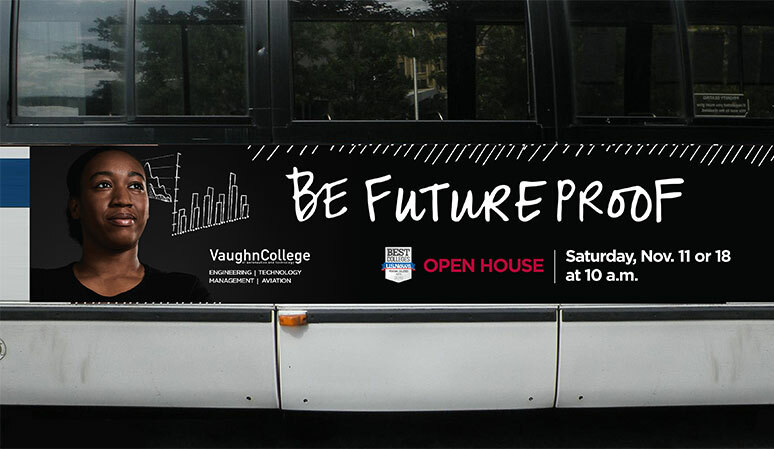 Vaugn asked us to create a disruptive campaign to drive prospective students to their open houses. 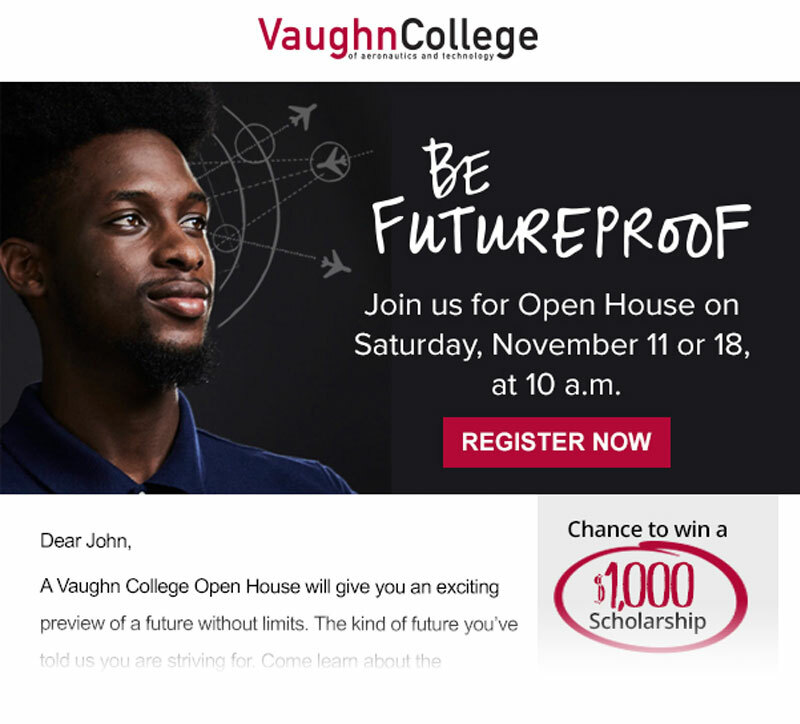 So we developed an unexpected idea featuring real students boldly challenging an uncertain future to contrast and highlight the "future-proof" education they will recieve at Vaughn. 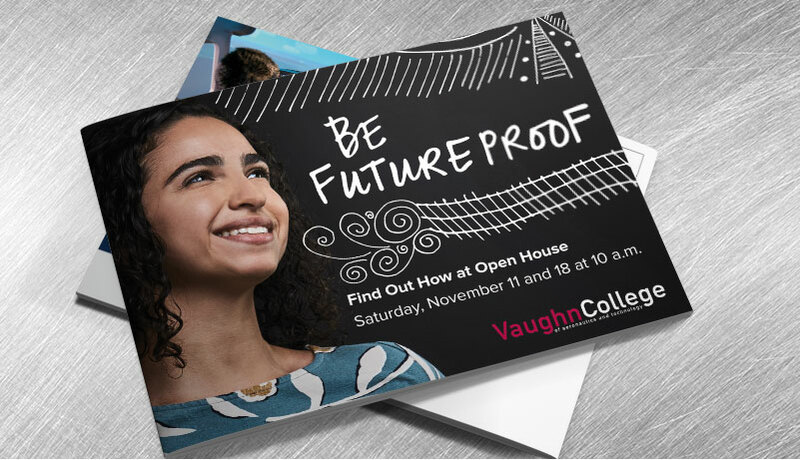 A full digital program featuring social media video, remarketing banners and email campaigns were deployed with traditional out of home posters, magazine ads and a TV spot to dramatically surpass last years RSVP's for their open house events.